Snow on the ground in 2012. The Auburn Ski Club is once again hosting the Turkey Trot run and Mashed Potato Mile at Donner Lake. This family fun event features the 7 mile run around the lake and the shorter run for the kids. The Turkey Trot has been in existence since 1976. Over the years there have been snowstorms, ice, rain, and beautiful weather. The event will take place rain or shine. It was cancelled only one time (2011 for ice) over the past 38 years. 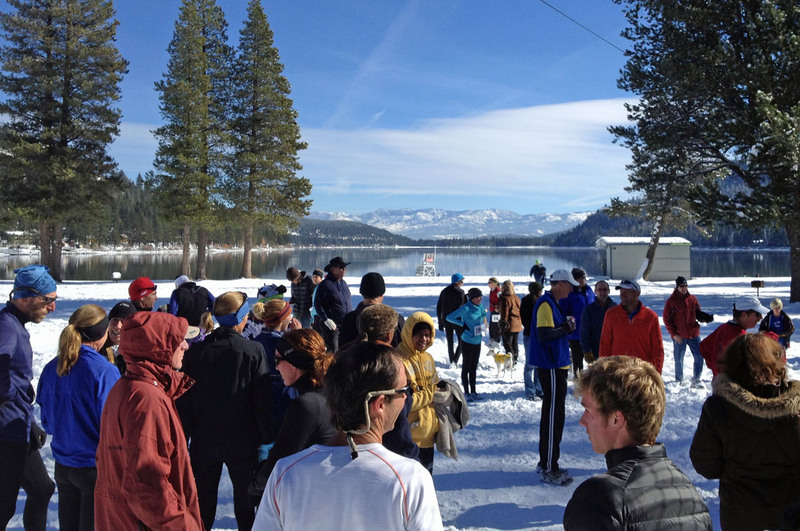 Pre-registration is encouraged online with Active or Athlete in you or in person at Tahoe Sports Hub on Thursday from 9:30-6pm and Friday from 9:30-4pm. Pre-registration for the Turkey Trot (Adults) is $25 dollars. Race day registration at the event is $40 dollars. The Auburn Ski Club hosts the Turkey Trot as a fundraiser for their Junior Nordic Team. 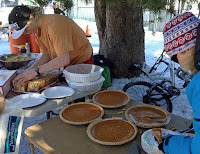 Prizes include pumpkin pies and cool gear from local sponsors including Tahoe Sports Hub, Treat Box Bakery, Safeway, and Savemart. In 2014, Anthony Ocegueda was the fastest male competitor in the Turkey Trot with a time of 40:48. The fastest female was Anja Gruber with a time of 46:02.